Most of us thought that food trucks would not stay around for a long time. However, it looks like the vans are here to stay. 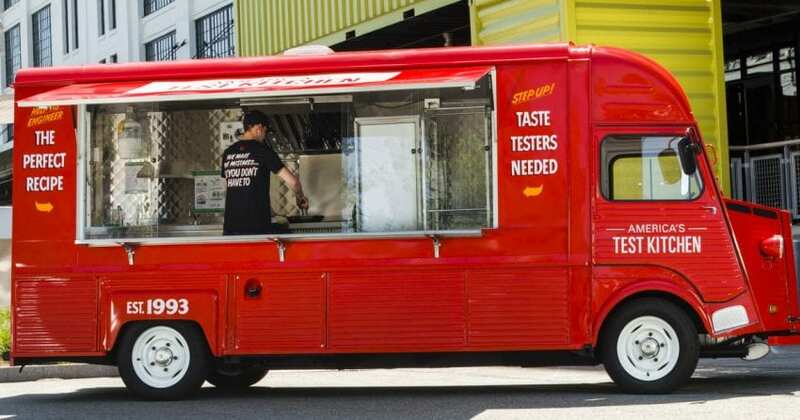 These mobile, small restaurants have come a long way since selling hot dogs and ice creams, with vans selling a wide range of things, from cupcakes to sandwiches to traditional street food. 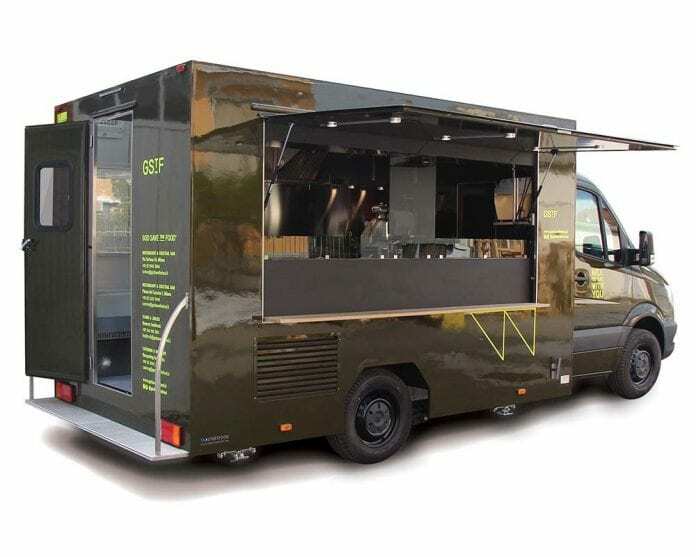 Food vans continue evolving, and today, you can see them almost everywhere – from rural areas to weddings – their menus continue evolving with them. Food vans can be a great way to share culinary ideas and some of the best food available. 1.Barbecue – Barbecue is a great idea since it connects low-cost food with high demand. Who does not love the sweet, smoky smell coming from the truck? 2. Cupcakes – recently selling cupcakes has become a big trend. Gourmet cupcakes can be served in various ways, for example, they could be plain or simple, or they might be colorful and large. It will be up to you to choose the perfect one. 3. Ethnic fusion – combining more or one traditional cuisine will most likely result in some incredible, tasty food. One of the most popular fusion is probably Korean barbecue and Vietnamese cuisine. 4. Paninis – sandwiches that have gone, gourmet. Paninis require minimal equipment. 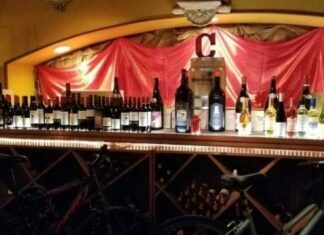 However, they offer a wide range of choices. They are perfect for lunch or a great snack while coming home from work. 5. 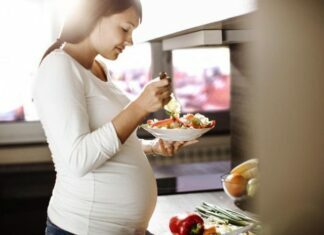 Organic and local fare – do not think of local food and organic product to be boring. Actually, the flavors offer something that commercially grown products cannot. Meat and vegetables can be bought locally anywhere, and they are a perfect way to promote a food truck and its business. 6. Waffles – waffle vans come in all types and shapes, from waffles and grilled chicken to simple waffles with maple syrup to gourmet waffles with cream and blueberries. This idea, like tacos and paninis, can be served at any time and are a major hit for breakfasts. 7. Burgers – the timeless and always popular burgers can be served plain or with panache. Burgers always sell, but food truck is selling them can often be crowded, resulting in you waiting for a bit longer. What is better than wood-fired pizza, inside a van with a lot of windows for everyone to see? This design is one that stands out from the crowd in many ways. It has an amazing design, cool name, and great pizza. Hence, if you find this van at a sidewalk, do not think twice and instead lineup and wait to taste this perfect slice of pie. This small retro-looking truck in one color and simple design is a perfect example of how food trucks do not have to be spectacular to be good looking. 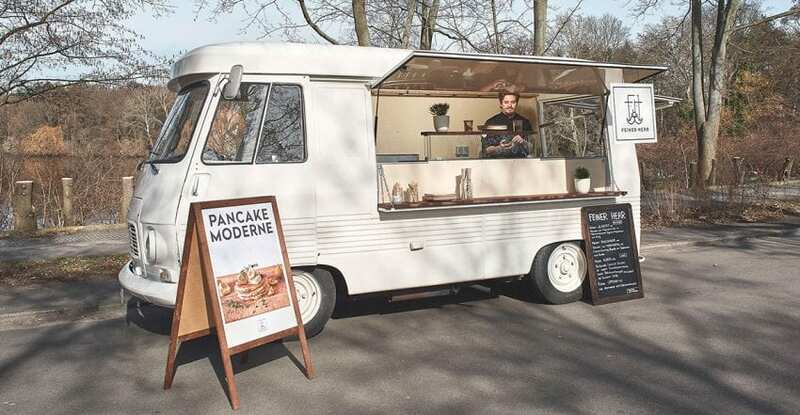 This food van roams the streets of the lovely Berlin, and it serves modern pancakes. You will be able to get any type of pancake that you imagine and them some more. Another clean design with its simple, red color and a clear design. The rolling pin in the logo lets people know that it is a bakery and the flowers on the truck make it look quite cute. 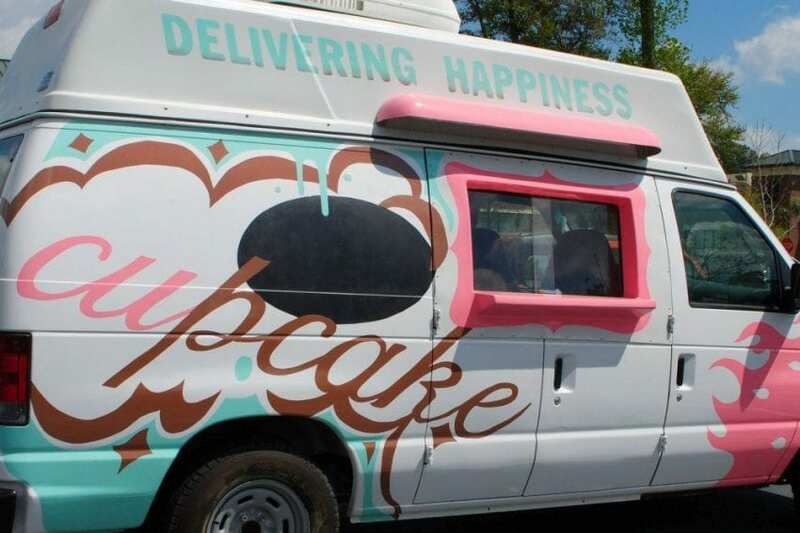 What makes this van special is that it is not a brand new truck, the fact that it has been around for quite some time is what makes this bakery-on-wheels so special. Perhaps the most interesting things on the list, the Barbados food truck fare. The products vary and they include home-cooked pies, gourmet cuisine, Jamaican jerk chicken, burgers, meat and fish, cooked vegetables, lamb, ice cream and so on. The vans are often hand-made by local craftspeople and they will add storage, iceboxes, hot plates, and all the other things necessary for the production of perfect meals. It is an interesting way to try a wide range of traditional food, all made by local people who love what they are doing, hence they will most certainly add that special flavor of love in their food. This van is not a van; it is a small scooter car that serves tasty sushi to Londoners — the small black scooter van with its big, round logo in white. Besides the perfect van and logo design, you will be able to get some amazing promo material, like a calendar, notebook, or pens with the food you buy. All these truck are beautifully designed, and all serve one purpose. To provide great food to people who enjoy eating out.